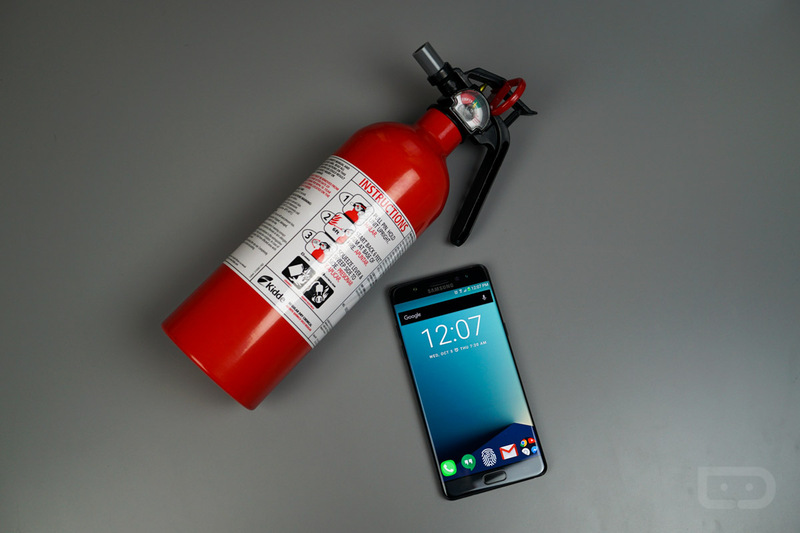 While no body of our government or Samsung has confirmed the recent report that a replacement Galaxy Note 7 up and exploded on a domestic Southwest airplane, AT&T and Sprint seem to wish it was just over already. Recently confirmed by Engadget, both carriers are accepting exchanges on the Galaxy Note 7, even if it was a replacement device for a recalled unit picked up last month. Once exchanged, you are free to pick any other device on the network. Sprint seems to be the most upfront carrier at this time, providing the following statement. Sprint is working collaboratively with Samsung to better understand the most recent concerns regarding replacement Samsung Galaxy Note 7 smartphones. The U.S. Consumer Product Safety Commission is also investigating the Note 7 replacement device. At this time, CPSC has not specifically said if customers should or should not use the replacement model. If a Sprint customer with a replacement Note 7 has any concerns regarding their device, we will exchange it for any other device at any Sprint retail store during the investigation window. We will provide additional information when the investigation has concluded. AT&T is doing the same thing as Sprint. If you own a replacement Note 7, AT&T will allow you to exchange it for any other device they sell, simply walk into a retail location and get it done. For customers on T-Mobile and Verizon, both companies have not yet announced the acceptance of exchanges. However, depending on when you purchased your Note 7, you may fall under the Remorse return timeframe. That’s only accepted within a 14-day period, though. While I’m typically not one to endorse mass panic over a smartphone, if the CPSC or Samsung come back and confirm that a replacement Note 7 did in fact burst into smoke on an airplane, I’d go right ahead and stop using the Galaxy Note 7 forever. There’s plenty of other phones on the market to choose from, especially ones that won’t burn something down. What’s your take on this? Is the media exaggerating? Should people be nervous about the Galaxy Note 7? You be the judge. UPDATE: According to The Verge, Verizon and T-Mobile will also allow customers to swap on their replacement Note 7s for new phones.